The first shoe to drop? According to the terms of LightSquared’s January 2011 FCC waiver, today is the deadline for LightSquared to “ensure that integrated, dual-mode MSS/ATC-capable L-Band devices are readily available in the marketplace…for datacards”. However, LightSquared hasn’t even mentioned these datacards for months, let alone ensured that they are “readily available in the marketplace” and the FCC’s Public Notice on September 13 did not indicate that any provisions of the January 2011 order have been waived. Of course LightSquared will presumably argue that while there is a lack of clarity on what spectrum it will be permitted to use, it is not possible to manufacture commercial dual mode devices, and I don’t think it is likely that the FCC would take enforcement action when it is not permitting LightSquared to operate a terrestrial network (though that might not be the case if LightSquared ultimately decides to sue). Nevertheless, it will give more ammunition to the GPS community, who have been protesting about the short timelines imposed by the FCC for testing, and want to test the interference from LightSquared devices, but can now point to LightSquared missing its own deadlines for provision of these devices. However, of much greater concern must be the fact that vulture investors are circling LightSquared (now that its first lien debt is priced at roughly 50 cents on the dollar) and may be looking for any opportunity to assert that an event of default has occurred under the first lien indentures, before all of LightSquared’s current cash has been spent. That explains why LightSquared is making such convoluted statements about its intentions for the upper L-band spectrum (proposing a filter that is completely incompatible with any terrestrial upper band operation), because admitting that it has given up on any prospects of operating there (either through a withdrawal of its original proposal or an FCC ruling that it could not operate in that band) would very likely cause a default on its debt. Thus it will be interesting to see how LightSquared addresses the datacard issue, presumably via an FCC filing to request an amended timeframe for commercial terminal availability, and how the FCC responds to this request. While physicists may now have shown experimentally that if you have almost no substance then the speed of light squared is no longer a constant, LightSquared itself has demonstrated that repeatedly in recent months, as it has shifted from one deadline and plan to another. Yesterday, at the Goldman Sachs Communacopia Conference, LightSquared’s CFO and CMO presented yet another version of their plan to potential investors, suggesting that after they have produced a prototype filter and have completed the general navigation retest by November 30, they would then get the go ahead from the FCC which would allow them to raise additional funding at the end of this year or early next. LightSquared also stated that it has committed “up to $50M” for federal precision devices to be replaced or retrofitted (though it does not intend pay to fix commercial devices, which LightSquared suggests will cost $50-$300 to fix, though Javad indicates the actual cost will be $300-$800 for their own devices). LightSquared would then go to market with a single 10x10MHz channel, which would provide sufficient capacity through 2015, and would give plenty of time “to engage” over using the rest of their spectrum. Of course, the implication from LightSquared’s statement that it is funded “into 2012″, is that they will run out of money in the first quarter of 2012, as I indicated in my recent assessment, and that (as LightSquared also indicated) they cannot raise funding until the GPS issue is resolved. The testing and deployment plans stated above will cause further heartburn in the GPS community and at the DoD in particular (and it is notable that the Air Force Chief of Staff and other colleagues are standing firmly behind Gen. Shelton, who was pretty much accused of lying by Mr. Falcone in his recent Fox News interview). LightSquared still seems to be insisting that production of a prototype filter is sufficient, and that this can be tested before November 30 (although they did not even mention specifically that it would be tested), despite the statements in the NTIA letter of September 9 that testing “need not be complete” by November 30. LightSquared is also is saying that it intends to use the upper part of the L-band in less than 5 years time, which would render the filters they are proposing worthless, and of course until this issue is resolved, it is not even clear that there is any point in testing the new filter. One under-appreciated point in the debate over “precision GPS” devices is that there appears to be a complete mismatch between LightSquared’s definition of a precision device (repeated in the Goldman Sachs presentation) as one that receives a satellite augmentation signal (such as the survey equipment used by the Army Corps of Engineers) and the DoD and PNT’s definition (as used in the TWG) which includes other non-augmented wideband GPS receivers, such as those used in “advanced scientific and research applications” and “precise location and targeting” by the DoD (which certainly doesn’t rely on augmentation by a commercial service). Of course that is a dramatically different scope both for future testing and for the need to develop a filter in a huge range of different form factors, and helps to explain both the Save Our GPS Coalition’s assertion that “this is not a one-size-fits-all situation” and Gen. Shelton’s assessment that the cost of fixing the problem would be in the “billions of dollars” and would take “a decade or more”. UPDATE: Michael Marcus remarks in his blog that he believes Gen. Shelton’s concerns are exaggerated, noting that if LightSquared is a major threat to national security then there is a serious problem with the “extreme fragility of military GPS systems” and suggesting that “More likely, however, is that the proposed system will have no impact on military users…”. Of course the debate has moved on from a purely technical one to become a major political issue (not least because President Obama used to own stock in SkyTerra) and its likely that these technical subtleties will be largely lost in the noise at this point in time. At this point in time, confidence in LightSquared appears to be ebbing by the day (at least as evidenced by their first lien debt, which I’m told is now trading at 60 cents on the dollar, down from near par in June and is “worth keeping an eye on…as a proxy for gauging investor confidence in Falcone and his telecom dream”). However, that’s hardly surprising when their story on the GPS interference issues doesn’t come anywhere close to holding together under scrutiny, and it is far from clear whether their spectrum assets will ultimately have any value at all. Despite, Mr Falcone’s attempts yesterday to dismiss the January 2011 FCC waiver as “irrelevant” to the question of GPS interference, it seems very likely to become a central feature in the Congressional investigations that the House Oversight Committee is now initiating. continue to roll out our network” it appears there is very little understanding of why the waiver was so important for LightSquared. Fundamentally, as Commissioner Furchtgott-Roth pointed out, “the Commission said LightSquared could use its license for exclusive terrestrial purposes”, which meant that the spectrum rights would be considered (and valued) as equivalent to terrestrial spectrum, allowing LightSquared to raise additional funds to build out its network. In fact that is exactly what LightSquared then proceeded to do, by raising $586M, secured against its spectrum assets, in February 2011. Thus Brattle Group’s analysis implies directly that after the January 2011 waiver, which allowed it to be “dedicated to terrestrial broadband”, LightSquared’s 40MHz of L-band spectrum was worth $12B compared to the (just over) $2B that DBSD and TerreStar’s combined 40MHz of spectrum (which is similarly situated, but is still subject to the FCC’s ATC regulations) was worth. 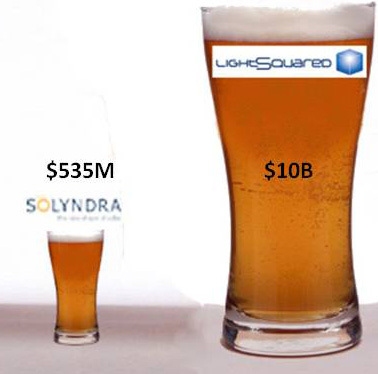 Once this $10B windfall is more widely recognized, I think it is going to represent an enormous political problem for both LightSquared and the FCC Chairman during the upcoming Congressional hearings, making Solyndra’s $535M loan look like small beer. After all in July 2010 current FCC Commissioner Copps noted in conjunction with the MSS NPRM/NOI that he “appreciate[d] the willingness of my colleagues to raise questions regarding the need for any mechanisms—such as spectrum fees—to compensate the American people for the terrestrial use of the public spectrum resource”, which is exactly why January’s action (which was not even brought before the full Commission) was such “an unprecedented and surprising development”. Today’s hearing of the House Armed Services Committee confirmed that LightSquared is likely to become a major scandal for the Obama administration in the run up to next year’s Presidential election and it won’t be long before people are chewing their own arm off to escape from this looming debacle (didn’t someone make a film about that?). In particular, the FCC Chairman refused to attend the hearing, in what was described as an “affront to the Committee” by the Republican congressman running the hearing. Rep. Turner also stated that he would be taking up LightSquared matter through the House Oversight Committee, of which he is also a member. UPDATE: The Republicans are going to make even more of this when they realize that (as the Wall St Journal reported last November) Soros Fund Management is also a “significant investor” in Harbinger/LightSquared. 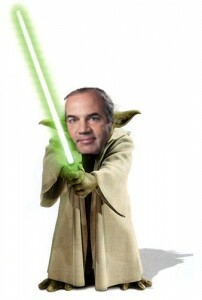 In the meantime, LightSquared’s CEO is defending the company by stating that it “has never taken one dollar in taxpayer money”, apparently forgetting Mr Carlisle’s testimony to Congress that LightSquared has received over $2M from the FBI for providing satellite services and equipment in the current fiscal year, not to mention its own estimate that the January 2011 FCC waiver was worth over $10 billion in incremental spectrum value to the company. And did he really just say that they will only be investing $8B rather than the $14B number they have used previously? The FCC Chairman’s refusal to attend the hearing comes in the wake of allegations that the White House pressured Gen. Shelton to change his testimony to the Committee, and while Sen. Grassley is still pursuing the FCC Chairman for details of FCC communications with and about LightSquared in the run up to approval of the January 2011 waiver. My guess is that there must have been some reason for LightSquared to submit its waiver request on the Thursday before Thanksgiving and it would be reasonable to assume that they must therefore have been told by the FCC that the application would be placed immediately on public notice with an accelerated (10 day) comment period over the holiday, in the hope that no-one would notice. If that was the case then it would be quite surprising if there was no email evidence of such communications. In the hearing itself, Gen. Shelton could not have been more explicit in his statements that there was no way to solve the LightSquared interference issues, even with LightSquared’s new filter proposal. He noted the enormous costs and the time needed for integration testing of any potential solution across the full range of military devices (he estimated there are at least a million devices deployed and it would take billions of dollars and a decade or more to fix the problem), and stated that even then he believed the precision of these devices would be affected. LightSquared has now said that, in conjunction with an unnamed GPS manufacturer, it has developed a prototype device that will be announced next week and can “help prove that GPS and LightSquared can coexist”. Ironically of course, GPS manufacturers have been the target of a vitriolic assault by LightSquared for their supposed lack of cooperation in trying to find a solution to the interference problems. UPDATE (9/21): LightSquared has now announced that its prototype has been developed by JavadGNSS, who claim that they will produce a “LightSquared-protected” solution by November 2011, a “LightSquared-compensated” solution by March 2012 and a “LightSquared-integrated” solution by June 2012. It remains unclear when it will be possible to conduct tests using these devices. However, given that Trimble owns Omnistar, which provides GPS augmentation via LightSquared’s satellites, one might think that Trimble VP Jim Kirkland would know what he is talking about when he states that “a single prototype has very limited relevance to the substantial interference issues affecting this whole range of devices…[and] doesn’t help existing devices that will experience interference”. In fact LightSquared’s new prototype may end up being totally irrelevant to the testing process that has been laid out by the NTIA, under which LightSquared must come up with a filter to protect existing precision GPS devices, including those used in military applications. Despite the presence of representatives from both the NTIA and the FCC, the hearing shed rather less light on the timeline for testing, although even the November 30 deadline for resolution of cellphone and general navigation interference came under fire from Republican members. However, it was certainly clear that as I noted yesterday, additional testing of filters for precision devices will not happen before November 30. Interestingly, one Democrat member of the committee also asked the witnesses to estimate in writing what the cost of testing would be, with a view to ensuring that LightSquared pays for all these tests, as well as any retrofitting of existing equipment that would be necessary. In the wake of yesterday’s FCC Public Notice, it seems that LightSquared remains at least outwardly confident that it will receive an answer from the FCC about whether it can turn on its proposed network in “late December or early next year”, as it apparently suggested to the Wall St Journal yesterday. The reason for this timetable is that as I’ve previously noted, LightSquared needs to raise significant additional funding by the first quarter of 2012 at the latest. However, the NTIA has indicated that it will only attempt to complete work on the cellular and personal/general navigation receivers by November 30, and that “given the open issues that remain with respect to precision and timing receivers, [other] work need not be completed by November 30″. The NTIA letter is also quite explicit that “there will later need to be a second phase of testing to evaluate proposed mitigation plans for high-precision and timing receivers”, so in other words the NTIA will not even begin to test these receivers until after November 30, assuming LightSquared can even manufacture a (non-prototype) filter by that time. I understand that the NTIA has set out this planned timetable because it does not expect to have sufficient resources to test both the cellular/general navigation receivers and the high-precision/timing receivers in parallel, regardless of when LightSquared provides the filter. Also its worth noting that it is far from a trivial matter to actually test the filter with the relevant precision equipment, because even if LightSquared could (in theory) produce some sort of in-line filter to attach to the antenna port of a device, there are many different devices to be addressed, and these will require a range of filtering approaches. As a result, it looks like LightSquared’s newly mooted timetable for approval is about as plausible as their expectation on Monday that there will be “a resolution in the next month”. Thus I think we are really now in the final countdown before LightSquared will be “heading for Venus” (where presumably no-one needs GPS). Meanwhile, I’m told Sprint is planning to be quite explicit about its Network Vision plans at the October 7 event, including which spectrum it plans to use for its LTE rollout, which clearly implies it is now focused on solutions other than LightSquared (or DISH for that matter). With Clearwire only being a useful solution for dense urban deployments, as I noted a couple of weeks ago, it appears that use of the SpectrumCo AWS-1 spectrum is the most plausible source of additional spectrum for Sprint’s wide area coverage plans, though it is by no means certain that Sprint will have a deal with the cable companies to announce by October 7. So this afternoon the FCC has joined with the NTIA in mandating further tests for LightSquared. Though the need for further testing was hardly a surprise after yesterday’s NTIA letter, what comes as a huge shock is that the FCC has offered LightSquared absolutely nothing to indicate it is minded to approve LightSquared’s terrestrial operations in the future. In particular, the FCC has not set out any timetable for completion of the additional testing (although it has stated that the “interference concerns” include “certain types of high precision GPS receivers, including devices used in national security and aviation applications”), or even specified what testing is required (and recall that the NTIA basically said for precision devices “come back when you have made a filter and we’ll think about more testing then”). Although the FCC hinted back in August that it might be preparing to throw LightSquared under the bus, today’s Public Notice clearly indicates that the FCC has lost all patience with LightSquared and no longer believes that it is a viable near term option for creating additional competition in the wireless market. Thus perhaps Mr Falcone’s next call to the FCC Chairman ought to involve a bit of Shakespeare: Et tu, Julius? After this ruling, the LightSquared rollout must now be regarded as being suspended indefinitely, and its hard to see where the company (and Harbinger) goes next. My best guess is that it will end up like Iridium back in 1999, where after a few months of utter panic in the spring of 1999, there were three distinct stages to the bankruptcy. In the first stage (lasting about six months), the company and its advisers claimed that the assets were still worth billions of dollars and all they needed was a bit more money. In the second stage (lasting most of 2000), they realized that wasn’t true and struggled even to find a bidder who was willing to pay pennies on the dollar (Iridium sold for $25M after investing $5B in its network). In the third stage, the creditors then spent years suing whoever they could (in that case Motorola) to try and recover their losses. 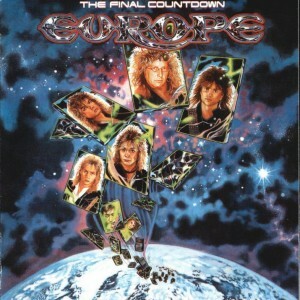 In this case, while it may take a couple more months before we finally see the end game emerge, its hard to see why anyone is going to fund the enormous costs necessary to keep the LightSquared plan on track, including the ongoing payments to Inmarsat (and perhaps to Sprint as well) for very long in the face of a completely undefined timetable for resolution of the outstanding issues. Its equally hard to see who, other than Inmarsat, might buy these assets, and even then the price would likely be only a few hundred million dollars at best (assuming Inmarsat justifies such an acquisition based primarily on a satellite-based business plan). Then, no doubt, there will be litigation against whoever can be blamed (which of course is why the FCC is being so careful to protect itself in the Public Notice). On Friday Sept 9, a letter was sent by the NTIA Administrator Lawrence Strickling to the deputy secretaries at the DoD and DoT, setting out the proposed way forward on LightSquared testing. This letter proposed that a joint testing plan should be developed “as expediously as possible” in order “to validate data on the performance of cellular and personal/general navigation Global Positioning System (GPS) receivers in light of LightSquared’s modified proposal to confine its operations to the lower 10MHz signal (1526-1536MHz)”. The NTIA requests that “the program be designed to allow for completion of testing and analysis by November 30″. All parties, including LightSquared, have agreed that LightSquared’s operations in the lower 10MHz signal will cause unacceptable interference to the high precision receivers tested by the TWG. Accordingly LightSquared is undertaking to procure the design and manufacture of a filter to mitigate these unacceptable impacts. LightSquared has acknowledged in meetings with NTIA that it will not commence commercial operations unless and until the federal agencies test the filter and conclude it is effective at eliminating unacceptable overload without degrading the performance of the receivers. Given this commitment, we see no reason for any further testing of high-precision receivers until LightSquared presents its filtering solution to the Federal agencies for testing and evaluation. Thus LightSquared has been forced to abandon its recent assertions that it can go ahead with its planned rollout, because only 500K-750K high precision receivers are likely to be affected and it can coordinate its rollout so that the impacts are minimal. Indeed LightSquared now has to actually manufacture a filter before testing can even begin. That certainly pushes a decision point until the summer or fall of 2012 at the very earliest, and more likely than not until after the 2012 presidential election and beyond the end of Chairman Genachowski’s term at the FCC. As I pointed out last week, LightSquared’s proposed filter characteristics also represent a complete abandonment of any prospects of ever using the upper 10MHz band. Remember also that the timeline for a decision to be reached does not include the years that will be needed to actually implement any filter across the installed base of precision GPS equipment. At last week’s House Committee hearing, one of the witnesses stated that “Even if some new, as yet unforeseen, [filter] technology did appear, the industrial, commercial and public sector users of GPS equipment routinely take up to 15 years to complete a normal replacement cycle”. The FCC can impose a shorter timeframe for the transition, but this would impose a significant burden on precision GPS users unless LightSquared was required to pay for the necessary equipment and installation. Thus, LightSquared is now faced with a major funding crisis, because it seems there is no way it can survive with its current resources until it receives final approval to move forward (assuming that even happens). It is also very hard to see why anyone would want to invest in the company at this stage, given that Sprint has a second lien on LightSquared’s spectrum assets and therefore (even if the spectrum is worth more than the first lien debt, which I doubt because LightSquared now has at most only 2x10MHz of potentially usable L-band spectrum) there are no hard assets to pledge for further fundraising and apparently no meaningful take-or-pay contracts from LightSquared’s growing list of partners either. UPDATE: In what feels like something out of Alice in Wonderland (“Why, sometimes I’ve believed as many as six impossible things before breakfast”), LightSquared’s CEO is claiming that the letter from the NTIA is just what LightSquared needed at this point in time because it “will finally allow LightSquared to put concerns about the impact of its network on GPS to rest”, while another LightSquared executive says “there will be a resolution to the company’s GPS interference issues within a month”. In the meantime (as I noted back in May), LightSquared has admitted that it has abandoned its plans for initial network deployment in Denver and Phoenix, along with its commitment to the FCC to cover 100M people by the end of 2012. There wasn’t much consensus in today’s hearing of the House Committee on Space, Science and Technology about how to solve the LightSquared-GPS interference problem, or even whether this is feasible. However, several Democrat and Republican committee members did seem to agree on one thing, that the government was “somewhat complicit” in this problem, or in other words that the FCC was largely to blame, for not considering the possibility of overload interference when it originally granted LightSquared (then MSV) its ATC license. Government witnesses presented a united front recommending further testing, with Scott Pace of GWU (as the only non-government employee and therefore not subject to the “mandate from the White House to seek a win-win solution” as Mr Russo put it) going further and suggesting that LightSquared should be banned from operating. Indeed Dr Pace’s testimony, as someone aware of the 2002 discussions between MSV and the GPS Industry Council, was quite definitive in stating that the agreement over out-of-band interference rested on the assurance from the FCC that the L-band would be maintained as a (quiet) satellite band without terrestrial-only use. In that context, one might very well tend to blame Inmarsat for agreeing in the December 2007 Cooperation Agreement with MSV (in exchange for its multi-billion dollar spectrum lease contract) that land-based satellite services would no longer be protected from MSV’s terrestrial operations, thereby facilitating potential deployment of a terrestrial network which would (by design) overload MSS terminals (and as we now know GPS receivers) in the L-band. Of course the FCC was also perfectly willing to go along with this in the March 2010 ruling which approved the changes embodied in the Cooperation Agreement, over the objections of two MSS service providers. However, the GPS Industry Council apparently did not comprehend the implications of this agreement (perhaps because many of the technical and operating provisions were confidential? ), although it seems the DoD had at least some understanding of the potential for interference. During the Q&A for the hearing, LightSquared highlighted on several occasions that the $4B it had (supposedly) already spent on the project was based on the “settled expectations” created by the FCC’s 2003 and 2005 rulings, presumably setting the bar for litigating a compensation claim if its terrestrial buildout does not go forward. UPDATE: Judging by darkblue‘s comments on the Washington Post write-up, perhaps a “nice fat lawsuit against those attempting to interfere” is exactly what Harbinger now has in mind? However, not only the government witnesses, but apparently even the committee members themselves, agreed on the need for more testing. A particularly revealing comment came from Mr Russo, Director of the PNT National Coordination Office (and therefore the point person on defining this testing), when he said that the additional testing couldn’t be defined without clarity from the FCC on what the “end state of operations” will be, in other words whether LightSquared’s proposed “standstill” on upper band operation will be made into a permanent ban by the FCC or will be left open. LightSquared highlighted that it had made a new proposal to the FCC yesterday, which (even though the main focus is on further limiting LightSquared’s power on the ground) seems to embody a number of subtle concessions, notably that it is basically accepting the GPS industry’s 1dB C/No criteria for assessing degradation rather than the relaxed 6dB degradation criteria it had proposed back in June, and that it is proposing the use of a filter to protect GPS devices which will eliminate any possibility of operating in the upper 10MHz L-band frequencies in the future. Thus it seems that the FCC might now end up ruling that the upper 10MHz block can’t be used for terrestrial operations (at least not without a future application showing what would be an impossible proof of non-interference). As I’ve noted before, that might conceivably put LightSquared into default on some of its debt agreements, though of course, if LightSquared is unable to raise further funding in the near future, it might very well be a moot point. Back in July, LightSquared’s CEO claimed that he was “so confident…that he isn’t planning for the possibility that the FCC denies LightSquared the waiver when the decision comes out in September”. Unfortunately, after today’s news that government witnesses will tell tomorrow’s hearing of the House Committee on Space, Science and Technology that LightSquared “should face more testing for interference with the global-positioning system before it’s cleared to operate,” it appears LightSquared had better start that planning pretty soon. In addition to the Bloomberg report, Communications Daily has a full copy of the testimony and is reporting that even Democrats on the House Committee are giving less than fulsome support to LightSquared by admitting that the hearing will not settle the conflict over “whether we are looking at an engineering challenge (building better filters, shaping cell tower antennas) or an insoluble physics problem (whether the sheer power of terrestrial cell signals inevitably overwhelms GPS devices),” and concluding that “Until there are clearer answers to whether the LightSquared versus GPS conflict is about engineering or physics, we cannot know whether we can have both thriving GPS services and more broadband to spur innovation and employment”. Thus, as I suggested a few weeks ago, it definitely appears that LightSquared will be consigned to a period of additional testing for now and any approval to move forward will be deferred for at least several months. The problem this presents is that by my calculations, LightSquared is likely to exhaust its current funding by about the end of the year, even if it does not pay Sprint to move forward with a full network deployment. My guess is that LightSquared’s payments to Sprint under the hosting agreement announced at the end of July include a regular quarterly payment plus a lump sum payable before Sprint begins the actual deployment. Plausibly, given the payment of $200M at the beginning of July, and the $9B total cash payment over 9 years, the regular payment could well be $200M at the beginning of each quarter, with the balance of $1.8B due (probably in several stages) over two or three years, as the network is deployed. Under the assumption that LightSquared continues to pay Sprint a regular quarterly payment but does not make any incremental payment to commence deployment, my estimate of LightSquared’s approximate quarterly cashflows is given in the table below. UPDATE: An alternative payment schedule, under which the next payment to Sprint is not due until early 2012 would show LightSquared running out of cash in Q1 of 2012 and needing to raise about another $1B next year. As noted by Sprint’s CFO in July, “during this period of time that [LightSquared] are trying to achieve clearance, they’re going to be out in the marketplace going to raise money” because Sprint “will be getting pre-funding of any work that we would be doing for LightSquared”. It appears LightSquared has been going about this task with considerable urgency, but given the delays for further testing, and the lack of certainty about the ultimate outcome, it is harder than ever to imagine where the money is going to come from. It is therefore somewhat ironic that “President Obama apparently sees LightSquared’s plan as a centerpiece of a wireless broadband initiative that he hopes to make part of his re-election campaign“. However, the President certainly seems to have a track record of selecting companies that go bankrupt as the “true engine of economic growth”. So Iridium has announced its “vision for the future of personal mobile satellite communications”, Iridium Force, including a range of new products and services. These new products and services are not exactly what was rumored last week (no commercial Netted Iridium service or standalone Bluetooth device). Instead they include the new Iridium Extreme (9575) phone, which includes integrated tracking capability and an SOS button, a new smaller 9523 voice and data module (which could potentially form the core of a standalone voice-capable device) and the AxcessPoint WiFi hotspot which provides data capability through a 9575/Extreme or 9555 phone. It seems the aim of the AxcessPoint hotspot will be to increase usage of existing phones, via a low incremental cost (~$200) accessory, which is likely to provide a better financial return for existing service providers than a more disruptive low cost standalone device. Indeed Iridium expects to achieve a premium price for the new Extreme phone and does not see a need to lower the price of the 9555 for now (given its strong sales so far this year despite competition from the ISatPhone Pro). If the two phones are sold (at retail) for say ~$1200 and ~$1000 then it wouldn’t surprise me if up to 80% of Iridium’s handset sales for the rest of this year are of the new Extreme phone (assuming adequate stocks are available). That would certainly be positive for Iridium’s 2011 equipment revenues, which to date have not declined compared to 2010 as the company originally expected. However, Iridium intends to keep the 9555 in production, providing it with optionality on pricing next year, once Globalstar comes back into the handheld market. What will be really interesting is how Globalstar pitches itself, given that Inmarsat has not achieved much revenue success with the ISatPhone Pro at the low end of the market. It seems Globalstar will need to challenge Iridium and focus on the medium and high end of the handheld market in order to achieve reasonable ARPU levels. In that case, how important will a low price handset be to Globalstar (given this strategy hasn’t yet enabled the ISatPhone Pro to penetrate the high end of the market)? Will unlimited usage packages be a better strategy to pursue, or will Globalstar’s other attributes (consumer distribution channels, better data speeds, low latency and good voice quality) be sufficient to achieve a different result to Inmarsat? Whatever course Globalstar takes, Iridium’s success in the handheld market over the last 12 months means I’m not convinced that lower handset prices are as important to future revenue growth as some people previously expected.